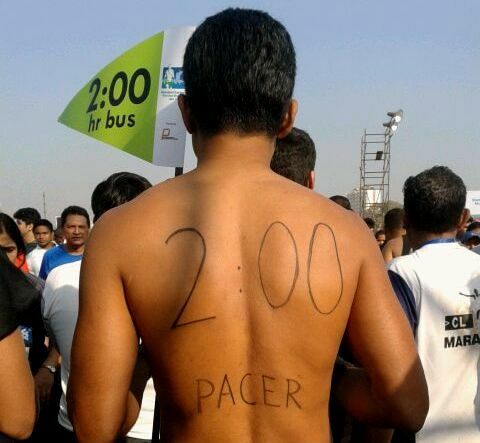 Being a Pacer, Choosing a Pacer – A Guide! 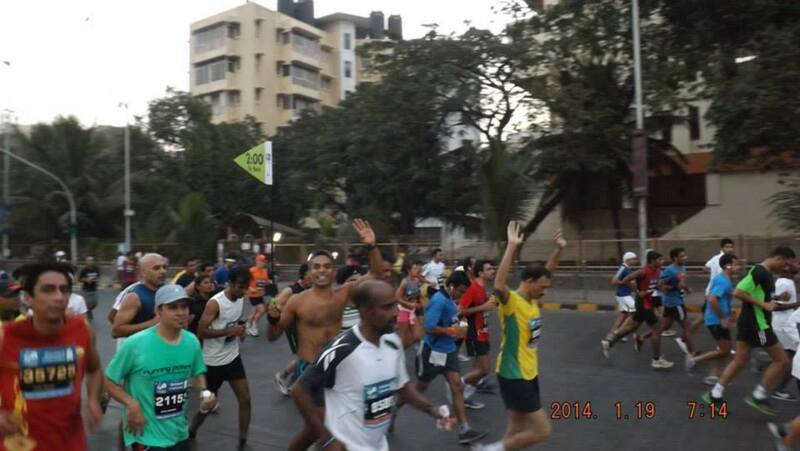 In India, the number of distance running races open to the general public has been increasing each year. 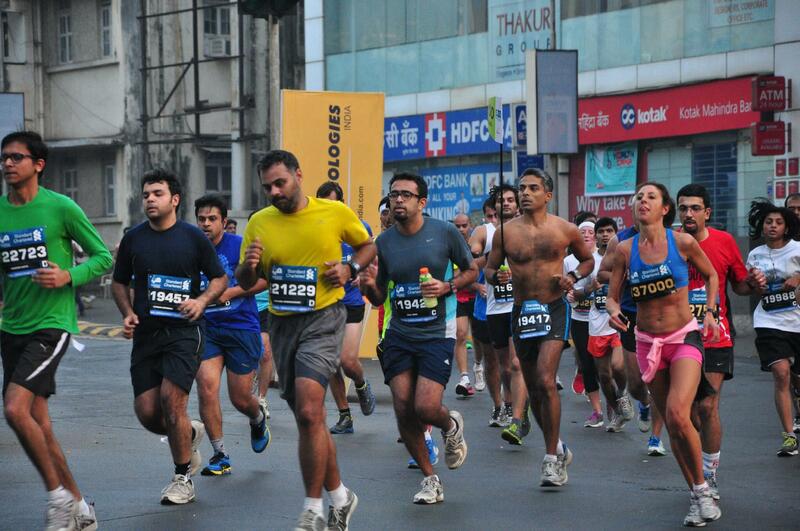 Since the first ever such race, the Mumbai Marathon in 2004, there is now a race or often multiple races during just about any given weekend in this vast country. A useful feature of an increasing number of these races is a pacer for various finish times. A pacer is an experienced runner who is meant to take those who started at the same time as the pacer, across the finish line within the time previously declared for that pacer. Popular times in India for the full marathon have been 4, 4:30, 5, 5:30 hours for the full marathon and 2, 2:15, 2:30, 2:45 and even 3:00 hours for a half marathon. (iv) a race runner choosing a pacer to stay with. Remember, if the pacer fails to do his or her job, the reputation of the race organizer is at risk. Once a pacer fails to do the job properly (more than 2 minutes faster than target time or slower than 45 seconds faster than target time) they should not be given a chance to pace again in a public race. This translates, for example, to a window of 1:58-1:59:15 finishing time for a 2:00 hour pacer. Finally, remember, (as was clear in a previous blog) the distribution of finishing times follows an approximate bell curve. Therefore, it makes sense to distribute your race pacers accordingly. 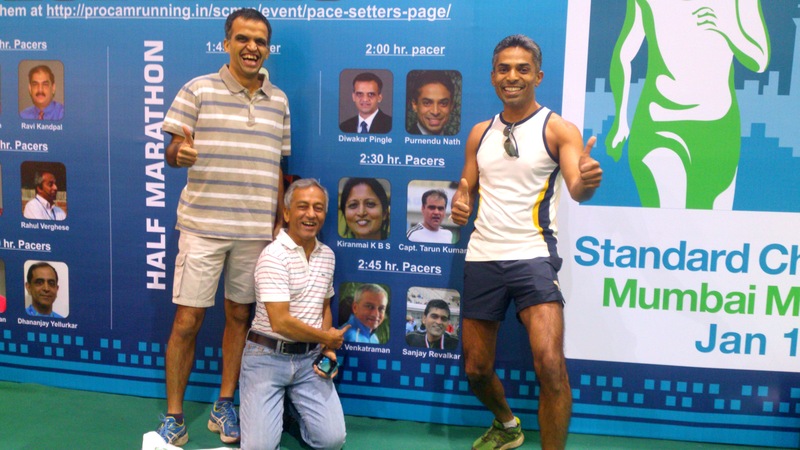 For instance, 3 pacers each for 2:00, 2:30 and 3:00 is not consistent with the needs of the runners in the Standard Chartered Mumbai (half) Marathon. 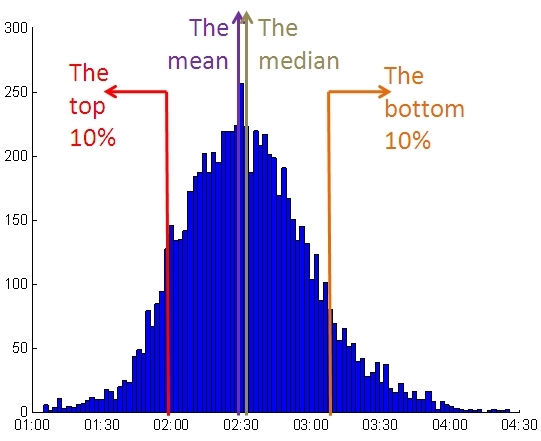 Instead distribute the pacers across the time span with a similar distribution profile. The friends I have recommended as pacers have done an excellent job so far. In return for perfect execution they have received priceless gratitude from race participants who have run successfully in their cohort. The satisfaction from a task well done is immense. The feedback from other runners multiplies that! I heard a report recently of a 2:15 pacer who boasted that he finished in 2:04. I hope no race organizer will ever give this person a second chance to be a pacer. If you are unsure about your ability to be a pacer, err on the side of caution and do not volunteer to be a pacer. Instead, be an unofficial pacer and take a group of friends who are running that race and pace them. Once you are confident that you are able to execute the job of a disciplined pacer, then volunteer the following year or for an earlier similar race. for runners who are far behind your specific starting enclosure suggest a catch-up plan that will work without risking their overall time; remember, they do not actually need to catch-up! answer truthfully and with confidence any questions that may be thrown at you before the starting gun goes; someone with a PB of 2:19 in a similar race 2 months ago is unlikely to benefit from being on your 2:00 bus! Suggest that they try to locate the 2:15 pacer! continue to make yourself visible during the race – remember, there are people who are in your cohort but you don’t know it – they may be up to 200m behind you! the last few kilometers are always the toughest for those running with you; this is when your motivational skills are required the most – use them! do not be tempted to slow down for any runner who is not able to keep up, no matter how friendly and dedicated he seems, or how pretty she looks! Be encouraging, but be ruthless in your execution! If for some unfortunate reason you do not manage to finish within the window prescribed, be fair and apologize to the organizers and runners! And, if you are too fast, for heaven’s sake, do not gloat that you finished 10 minutes and 8 seconds ahead of your target – it might just be your last run ever! Do the world and yourself a favour and do not offer to be a pacer ever again! When you are depending on a pacer to achieve your race target, your choice of pacer is very important. A pacer in a race is a disciplined guide within an event which has performance pressure. Guidance in anything is extremely useful when navigating uncharted waters. Whether it is about being a pacer, choosing one as a race organizer or for your race personal best, make decisions intelligently and dispassionately. Previous What is fitness anyway? Being mental! An informative article packed with practical insights…. However don’t be in a hurry to write off and condemn a failed pacer. Finishing much ahead is a crime and it is great to finish about a minute before the target time but in many races some pacers have finished slightly behind the target time 1 to 2 mins without bringing the art pacing into disrepute. While no pacer ever wants to end slower than target time but in the ultimate analysis we all are humans and there can be many circumstances beyond control. I know of many pacers who are still star pacers despite finishing 1-2 mins behind the clock. Similarly in the AHM 2014 I saw that some pacers failed to complete the race at all due to race day conditiona yet those too were great runners but some times things can just be out of control for no good reason. It’s a sport and an art not an exact science like fluid dynamics. Ultimately it is more important how many of the bus passengers who followed the pacer were able to complete their own run within the bus time. Cheers and happy pacing whether you are a pace setter or a follower..
Other than the odd smart-arse (I heard of one at the ADHM-2014) who becomes a pacer, most who do it, do it for the joy of giving back. However, failure to do a job, is just that… failure! Whether it is pardonable or not depends on how it happens. The unexpected injury in the late stages of a full marathon or ultramarathon are excusable. Poor weather, slow racers on the bus, losing track of time/distance, these are not excusable – especially for a half marathon. 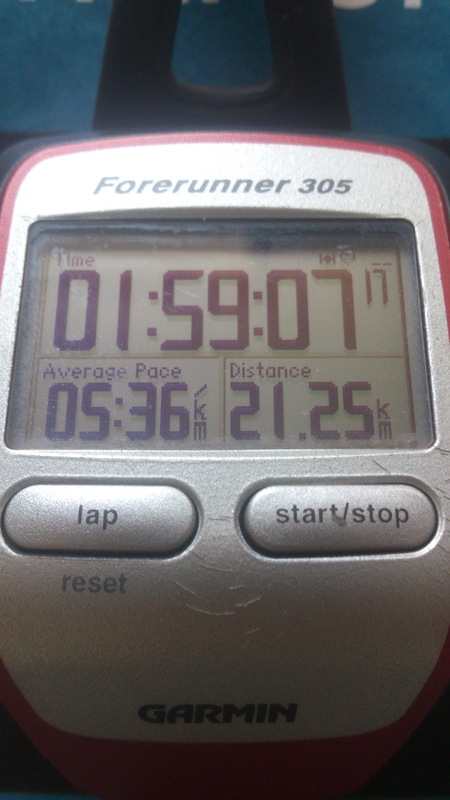 And it is for that reason that I would not pace a 1:45 bus despite a 1:38 PB. Possible failure on my part must not impact other racers who depended on me. I’m sure those who fail to achieve their pace setter targets are not bad people. But, we should just accept that they failed at that job. Wilful blindness in society is endemic, let’s weed it out in every place possible.